There were many considerations I put into the choice of the basic chassis. Over the years, I have built several autonomous robots — many of them meant to be experimental platforms and some special purpose robots. I usually spent more time building than programming because I went overboard on some feature I thought I needed, but usually never used. I finally settled on a really basic design that is small and reliable. 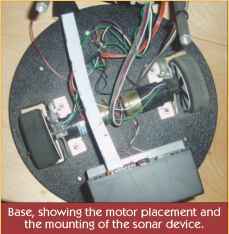 (To the right) Side view, showing the brass tubing bent over attached to the wheel with the threaded rod, the Handy Board on top, with the compass and sonar in the front. I thought the chassis should fit in a cubic foot, since this would allow me ample space on my workbench to program and test the code I was writing. I decided on center drive wheels that counter-rotate for steering to make navigation easier. Since the Handy Board has an LCD display on it, the CPU needed to be visible most of the time. Making the basic robot round is a really good idea. 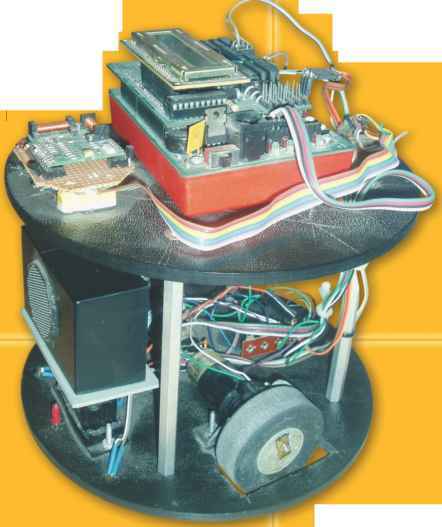 If the robot misjudges a corner or opening, the round shape will usually allow the robot to bump and slide off. My wife is a potter; she throws clay pots on a wheel. To make things easier to change from one pot to another, she buys round boards that slip on the wheel and works the clay on top of those. These boards are called bats and can be purchased at clay supply stores. One day, she got a plastic bat and I knew it was perfect for a robot chassis. Detail of the bottom, showing the countersunk screws, the furniture skid, the CdS cells (far left), and the light source (left center). without holes. I chose to buy the ones with holes, since I thought I could use the holes to align things. The holes are nice for running wires from one level to another. There is a textured side and a smooth side to the bats. I chose to put the textured side up, but it does collect a little more dust when running on the floor. I found some 5 inch aluminum stand-offs — probably surplus, but using a 2 inch and a 3 inch would be equally fine with a short, threaded rod to join them. Using aluminum is ideal, since it is light weight and non-magnetic. These stand-offs are threaded all the way through with 8-32 threads — a common size. Top, showing the stand-offs; the smaller holes are originals used for aligning the center. 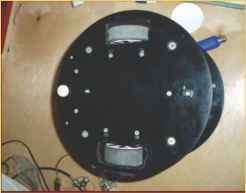 Front, showing the sonar mounting, the servo, and some of the wheel details. The wheels I chose are light weight model aircraft tires, 2-1/4" diameter. The tires don't provide much ground clearance, so the robot doesn't wobble too much. The model aircraft tires have a standard 5/32" hole, making mounting quite flexible. They have a plastic hub and a closed cell foam rubber tire. 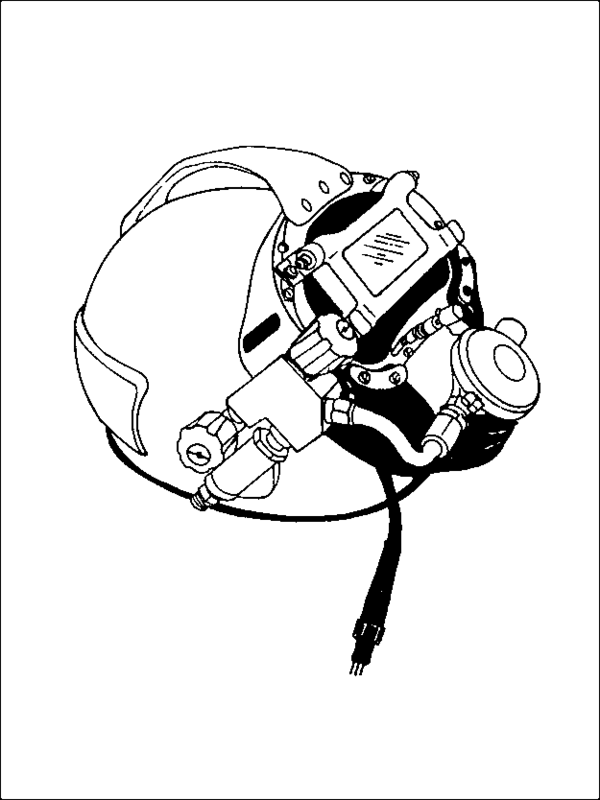 What materials should be used in chasis for underwater robots?